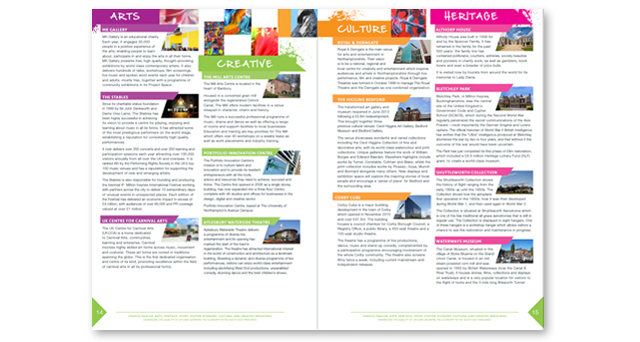 Description: The Plan sets out to celebrate the rich mix of diverse and interrelated sectors within the Arts, Heritage, Sports, Cultural and Creative industries. 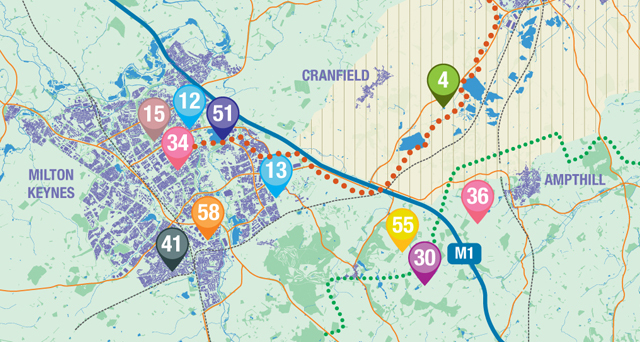 It highlights the quantifiable benefits and enhancements to the quality of life for residents, visitors and investors these sectors bring. 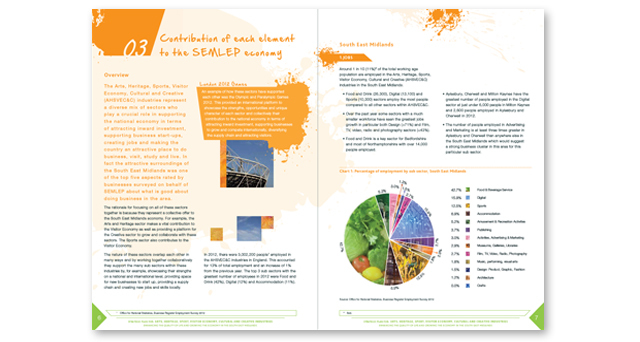 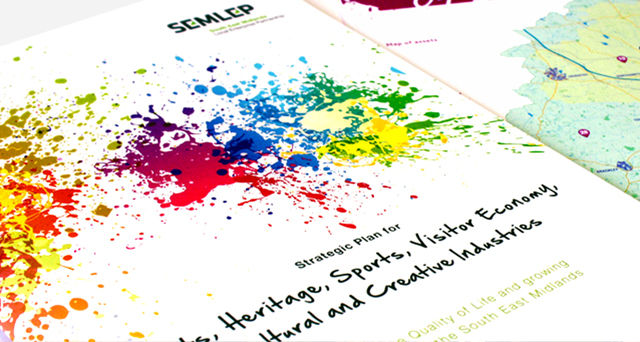 Challenges: To demonstrate in a single document the positive benefits generated by the creative and cultural industries on the SEMLEP area. 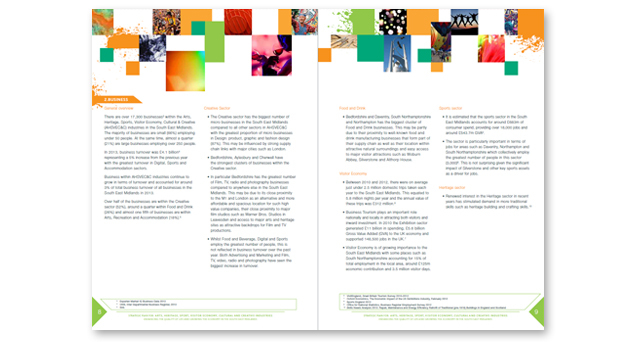 What we did: We produced a visually captivating and creative desktop published document. 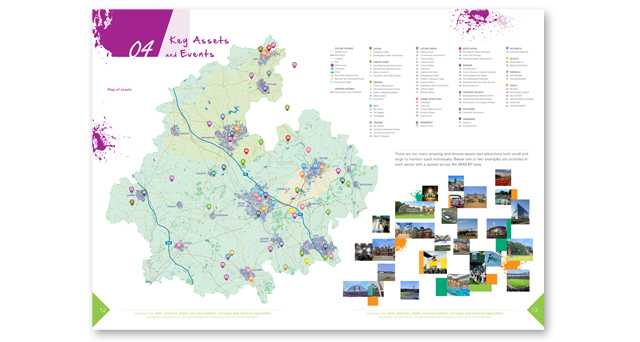 This included large scale strategic mapping to clearly communicate the diverse array of key assets through-out the region.